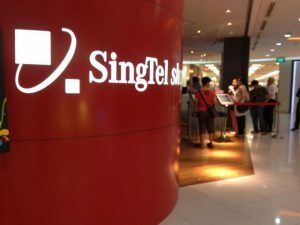 Prepaid Singapore SIM cards are easily available for tourists at Singapore both at the airport as well as in town, but you need to watch out for being overcharged. 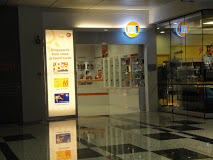 Singapore prepaid SIM cards are available at the Changi International Airport at the 7-Eleven convenience store which operates 24 hours at the Departure Transit Lounge of Terminal 1 and Terminal 2, Departure Check-in Hall at Budget Terminal. But they maybe overpriced at airport. Gas station, grocery store, post office, or phone shop. *Note:You have to dial #100*5*1# and hit send to activate incoming calls. FREE Access: Facebook, WhatsApp, Line, WeChat. Note: $18 Credit will expire 180 days, Free 100GB is valid for 5 days, 1GB is valid for 7 days and 200MB is valid for 30 days upon SIM activation. Free 100GB is limited to use with 3G mobile network only. Top up before expiry date to roll over unused balance and to extend validity period. You can activate a plan by keying *123*300# and press send/dial on your mobile phone. Of course if you would rather buy the SIM before travel so that you do not have to go hunting, or are traveling to multiple countries in the region, or would like to know your number before you travel, we have a Singapore SIM card for you!